Bridgewater hedge fund doesn't need a subsidy. Since When Does a Huge Hedge Fund Need Subsidies? Connecticut governor Dannel Malloy said that Bridgewater Associates, the $130 billion hedge fund founded by Ray Dalio, intends to build a new $750 million headquarters in Stamford. Since when does a huge hedge fund need subsidies? Ray Dalio’s Bridgewater Associates, the biggest in the world with $130 billion under management, may get up to $115 million in help from the U.S. state of Connecticut to build a new headquarters. Dalio’s firm, which made him nearly $4 billion last year according to Absolute Return, hardly seems a needy recipient of aid. 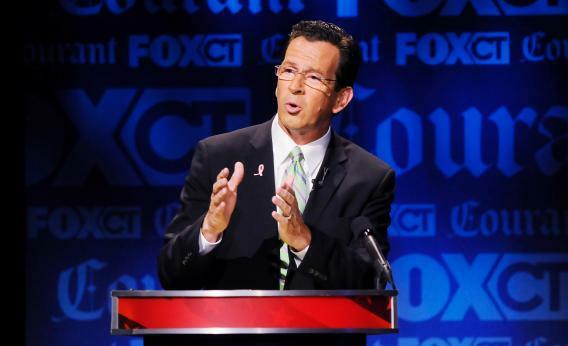 And on the surface Governor Dannel Malloy has far more pressing priorities. Connecticut recently needed a budget that cut healthcare spending for the poor and tapped funds that had been set aside for other purposes in order to help close a $200 million deficit. Yet there are potential benefits for the Constitution State. There are already 1,225 highly remunerated Bridgewater employees paying income tax. And as the largest and most successful hedge fund in the world in recent years, Dalio’s firm stands to become a lot larger. Without Connecticut’s cash, places like New York’s Westchester County, New York City and even parts of New Jersey might have lured Bridgewater with incentives of their own. The firm needs to move somewhere, Westchester isn’t that much further away from its current Westport home, and many employees anyway reverse-commute from Manhattan. There’s an additional public motivation, if zoning permits and other hurdles can be overcome, to rehabilitate a grungy slice of the Stamford waterfront. There’s even a basic financial rationale. Suppose Dalio does hire 1,000 more staff over 10 years - as he needs to if Bridgewater is to get the full benefit of $25 million of forgivable loans in the subsidy package - and each makes $200,000 a year. They’d all pay a bit over $11,000 in state income tax. Eventually that’s $11 million a year, almost a 10 percent annual return on all the state’s money. It’s less risky, too, to subsidize retaining a business - as New York did to keep Goldman Sachs in Lower Manhattan - than try to attract new ones. Still, it’s a decent slug of Connecticut’s cash that could be deployed elsewhere. And the big unknown is whether, without subsidies, Dalio really would take his firm elsewhere after more than three decades. It’s no surprise that one of the best performing hedge fund bosses managed to persuade the state the danger was real. Read more at Reuters Breakingviews.